The present downloadable teaching material was created for high school students and elementary school students at Elementary (A1) and Pre-intermediate (A2) level. It is great for consolidating Present simple tense in English, and can be used for working on your learners' Writing skills. 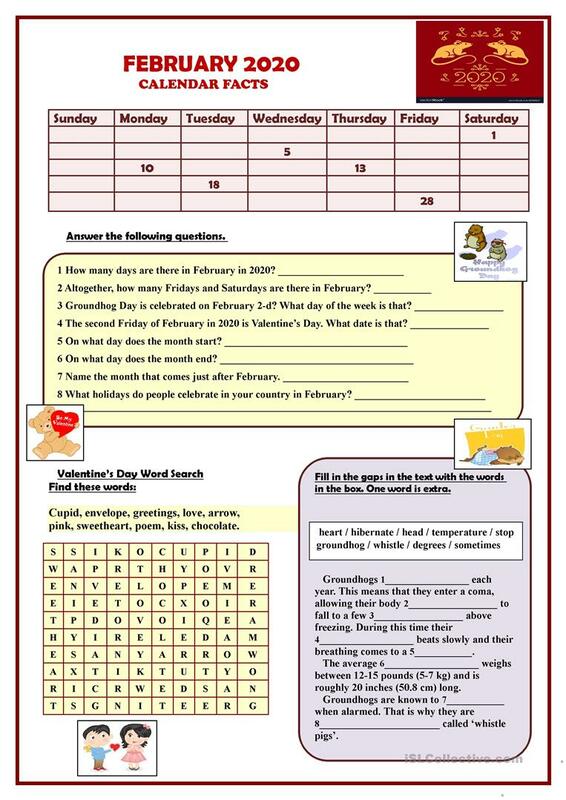 It is about the vocabulary topic of Dates, Days of the week, Holidays, Months and Winter. There is a key provided with the exercises.